Having rich industrial experience and knowledge, we have been indulged in offering Heat Treatment. The provided heat treatment is highly demanded in industries such as steel and metal fabrication for heating wires, rods and steel components. Our proficient professionals manufacture this range using the best quality raw material and cutting edge techniques. Clients can buy this product from us at industry leading prices. Having rich industrial experience and knowledge, we have been indulged in offeringInduction Hardening . 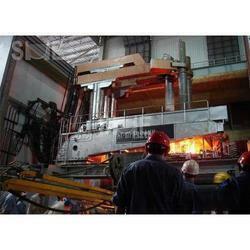 The provided heat treatment is highly demanded in industries such as steel and metal fabrication for heating wires, rods and steel components. Our proficient professionals manufacture this range using the best quality raw material and cutting edge techniques. Clients can buy this product from us at industry leading prices. Induction Equipment India Pvt Ltd.